A child’s play is their work! 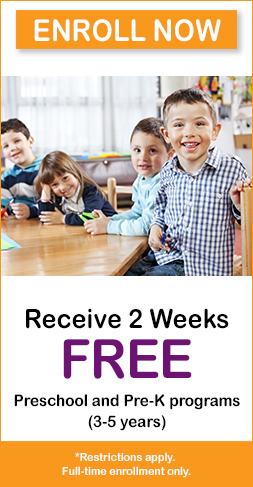 Premier Academy offers private childcare that is based on 7 essential domains of child development. This program is based on academic research and The Nebraska Early Learning Guidelines that states children experience the best learning when they are having fun. Our program focuses 7 domains of child development that includes academic, social, creative and child-centered development to provide a well-rounded experience and ensure children become confident, happy and fully-prepared for school. For young children, growing and learning begins with each child’s personal experiences, and their openness and curiosity about new discoveries. Very young children develop mathematical concepts through meaningful and active learning experiences that are broader in scope than numbers and counting. Very young children are natural scientists and are easily fascinated by everyday happenings. Children begin to learn that they can communicate with adults through crying, gestures, expressions, sounds, and later through words or other alternative methods. These skills set the foundation for development in all areas, but especially literacy development. Creative arts experiences open an avenue for the development and expression of individual ideas, feelings, and interests. All young children require consistent, caring adult supervision and support to make sure health needs are being met.